Located 50 miles from the main Columbus campus, Ohio State University at Marion provides a wide of array of educational choices for about 1,600 traditional and non-traditional students. Over 170 areas of study are offered, as well as several professional programs. Students with free time on their hands can head to the student center for its indoor rock-climbing wall. What are the top 3 reasons someone should attend Ohio State University-Marion Campus? What is a typical Ohio State University-Marion Campus student like? Describe the type of person that should attend Ohio State University-Marion Campus. The typical Ohio State college student at Marion studies and works hard at their job to succeed and graduate with a small student loan. If you want the atmosphere of a small liberal arts college and the educational resources of a major university, The Ohio State University at Marion is for you. At Ohio State Marion, you can begin your university education in more than 170 areas of study. As an Ohio State Marion student, you are part of the Ohio State family and have access to opportunities and activities on the Marion and Columbus campuses, including libraries, research facilities, computer labs, student organizations, concerts, and even football tickets. The Ohio State University is one university with many campuses. Regardless of which one you attend, you are an Ohio State student, you are a Buckeye! What are the top 3 things that students do for fun at Ohio State University-Marion Campus? Students at the Ohio State University at Marion play pool and air hockey in the game room in the bookstore building, basketball and some of the students exercise in the fittness center. The average student pays $10,861 for tuition, fees, and other expenses, after grants and scholarships. Learn more about financial aid at http://osumarion.osu.edu/financial_aid. 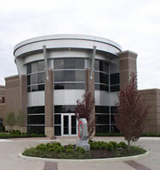 Want more info about Ohio State University-Marion Campus? Get free advice from education experts and Noodle community members.